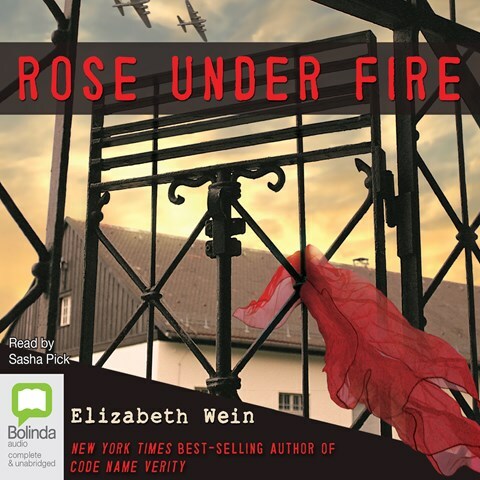 Stories of courage, read by professionals – welcome to World War Two, through free audiobooks. Remember that although these free complete audiobooks are only available from Thursday through Wednesday, you can listen to them as long as you keep them on your computer or electronic device. One tale is fiction, the other is biographical, both tell stories that we must never forget. A young American woman flying Allied transport planes is downed in Germany and must survive the infamous Ravensbrück Nazi concentration camp. A companion book to Code Name Verity. The couple who sheltered Anne Frank’s family risked their lives daily for two years. Now Mies shares the story of her own life and those dangerous days in World War II. What other tales of bravery by “everyday people” do you recommend?